People looking for cemeteries in Duluth, MN, find a secluded place for peace and reflection at Bethany Cemetery. Our more than 70 acres of private land offers a final resting place surrounded by natural beauty. Visitors are welcome every day from sunrise to sunset. 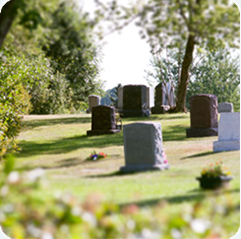 The Bethany Cemetery Association board meetings are open to the public and held at Salem Lutheran Church: 4715 Hermantown Rd, Duluth MN 55811. A special thanks to WestmorelandFlint for donating its time and talent to make this website possible.